I successfully finished my first Corner to Corner (C2C) Graphgan! 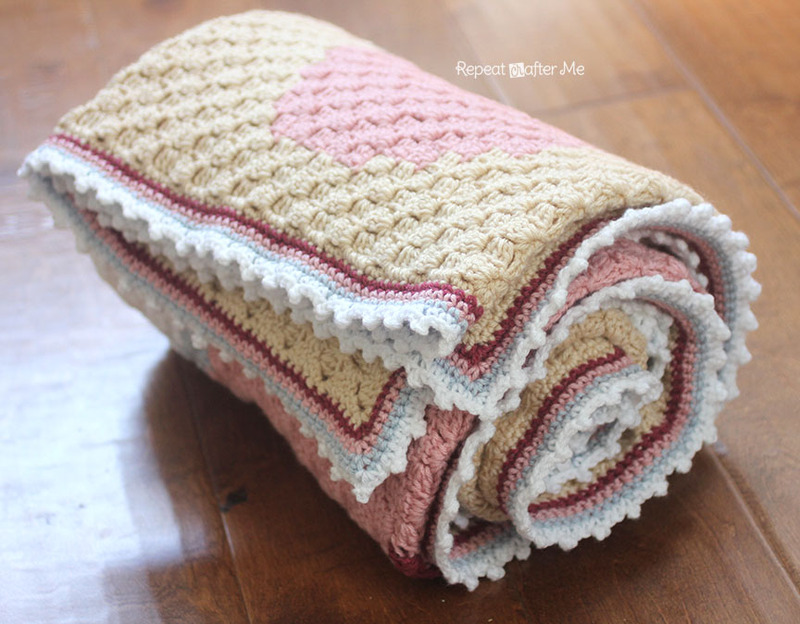 The C2C works up much quicker than the pixel square blanket and the bobble stitch blanket so it's a great option for those of you who want to give pixel crochet a try. 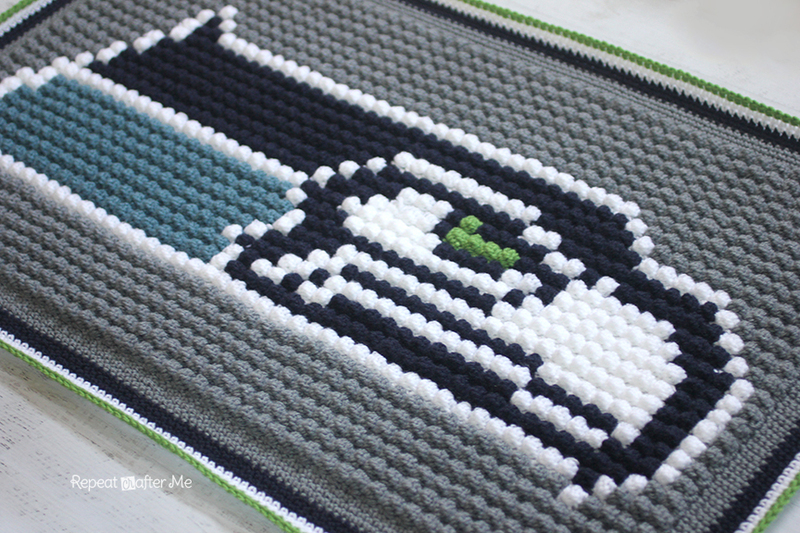 In this post I am going to give you the basics about creating a C2C blanket. There is no specific pattern to follow, you create these afghans by following a pixel graph, working from the bottom right hand corner, row by row, until you get the top left hand corner! 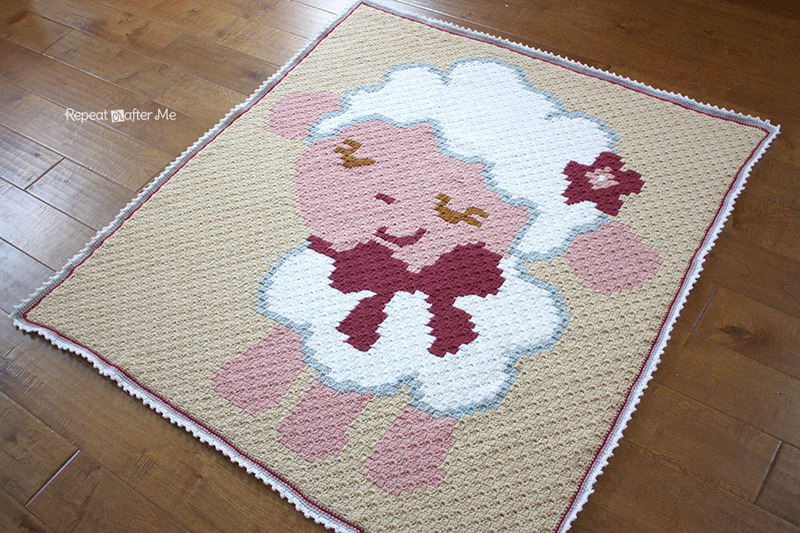 - Baby Sheep Graph. This graph will cost you $2.50. 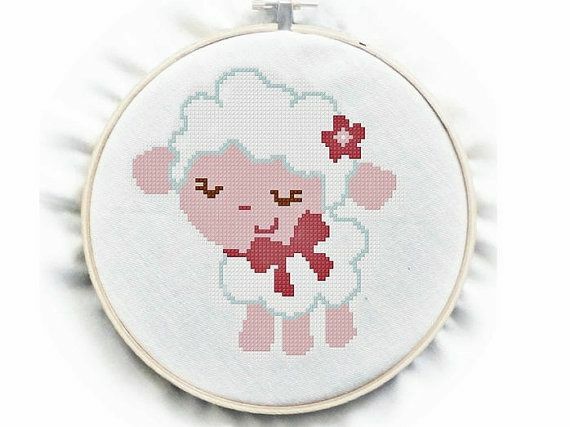 It is the most adorable cross stitch pattern by GreatHome and available for purchase HERE on Etsy. When I saw it on Pinterest, I knew I had to have it! The instant download file comes with the pixel graph you will need. 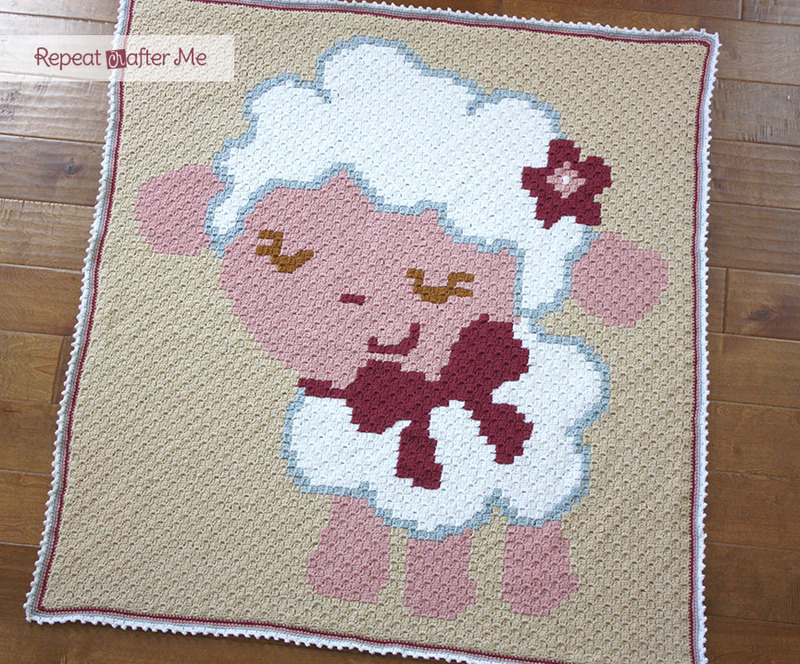 Keep in mind that you do not need to purchase this pattern to create a C2C graphgan. 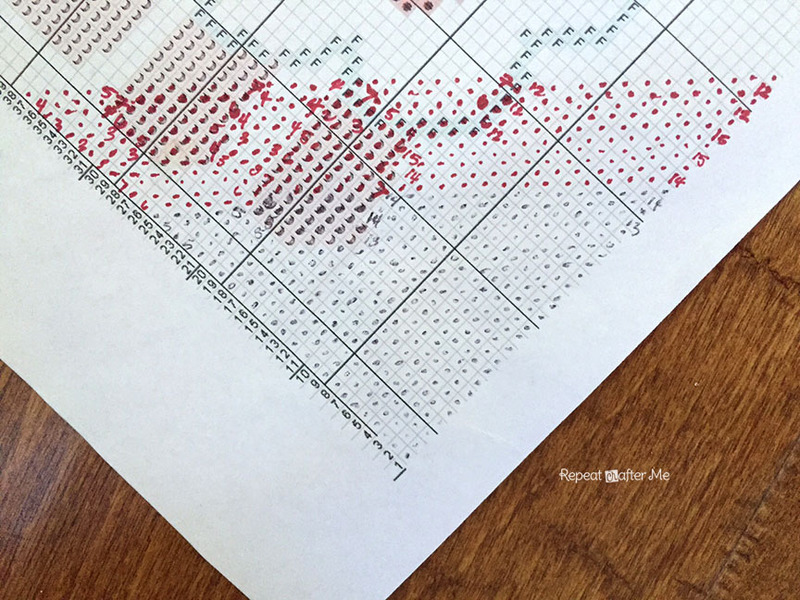 You can use ANY pixel graph pattern and follow the instructions below. - Size G Crochet Hook. Typically I would use size H but this graph was 73x79 squares and I new a smaller hook would keep it from becoming too big. - Worsted weight yarn. 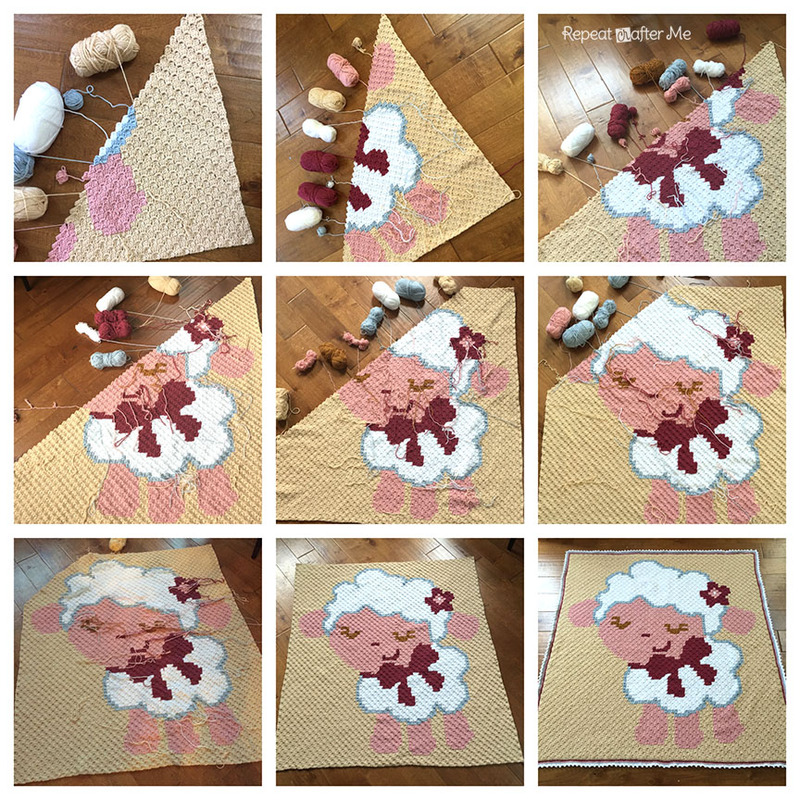 I used Lion Brand Vanna's Choice in Beige, Silver Blue, White, Pink, and Antique Rose. - Tapestry needle - Pen to mark your squares as you go! I took a lot of video throughout the creation of this project... but when I looked back on it, it seemed to be too confusing. 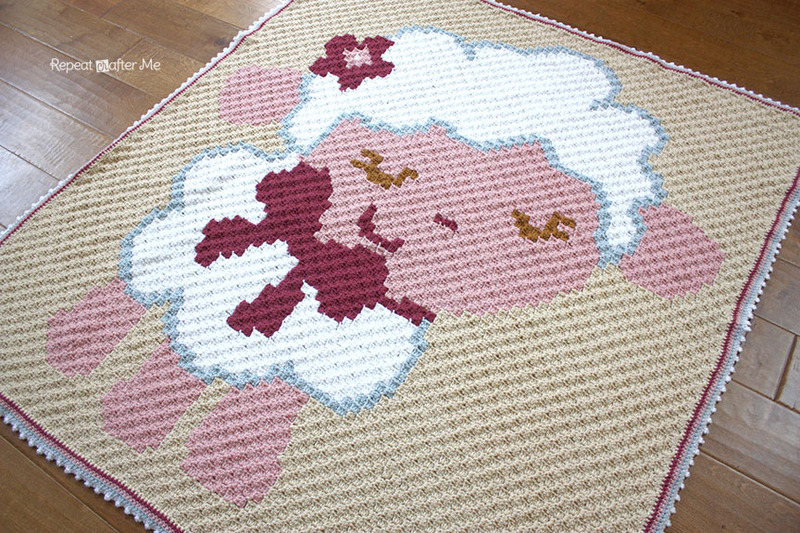 I decided to show you how to make a C2C by crocheting a small graph. That way you can see how to start, make increases, create your "maintain" rows, and then how to do the decreases. 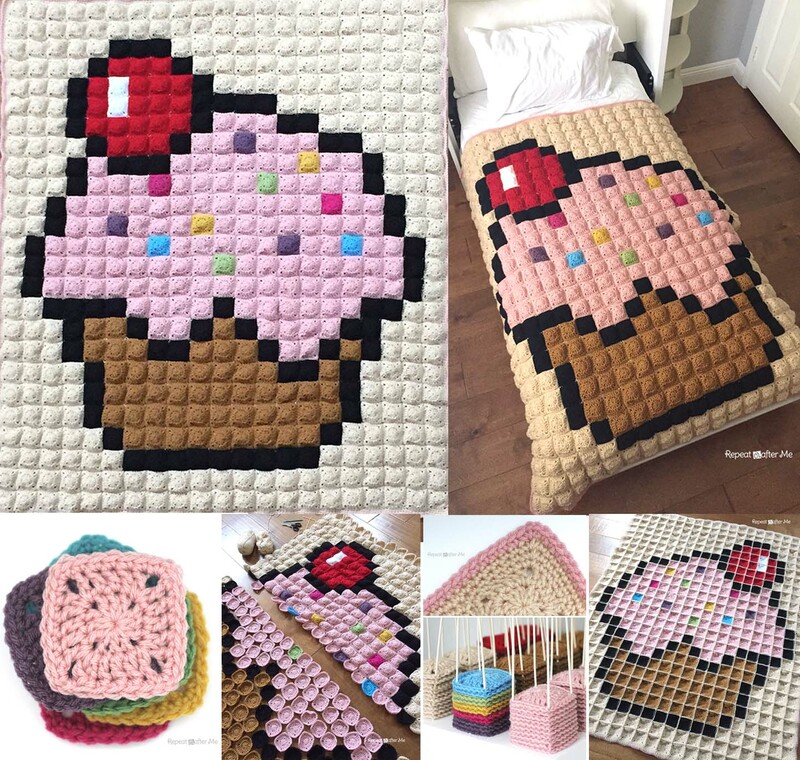 You can apply the techniques in the video to a large more complex graphgan. Remember to mark off each square as you go! Double check your work to make sure you haven't missed a square. If one thing doesn't line up, the whole design will be thrown off. 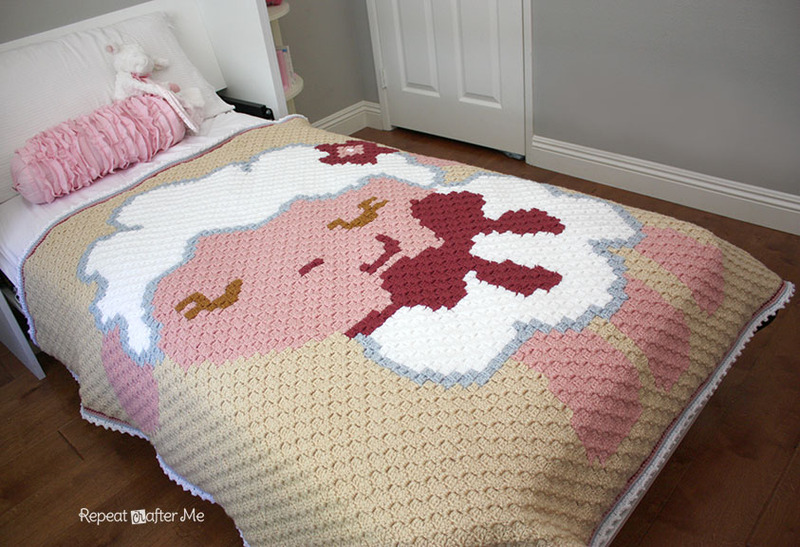 The entire C2C Graphgan took me a little over a week to complete. The finished size is approximately 58x64 inches and the graph was 73x70 squares. You can see my day to day progress in the pictures below! Now lets talk about the border! 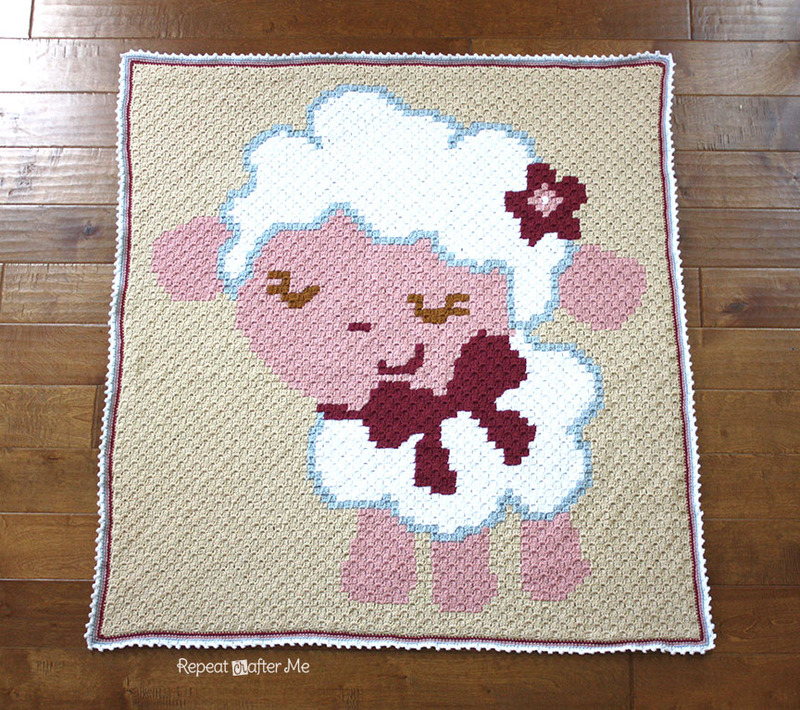 When you finish the C2C you will notice your edges will have a combination of a chain followed by 3 double crochets. 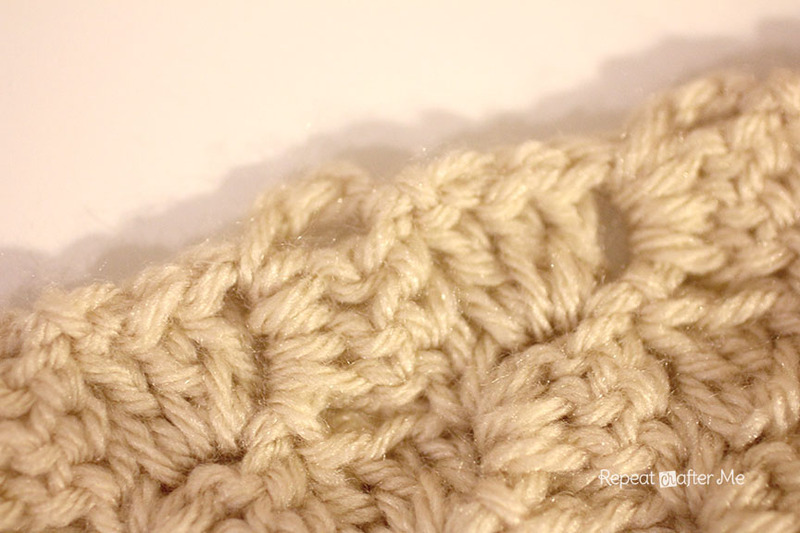 To make a single crochet border, you want to make 2 SC in the chain parts and one SC over each double crochet part. This will create a nice even edge. 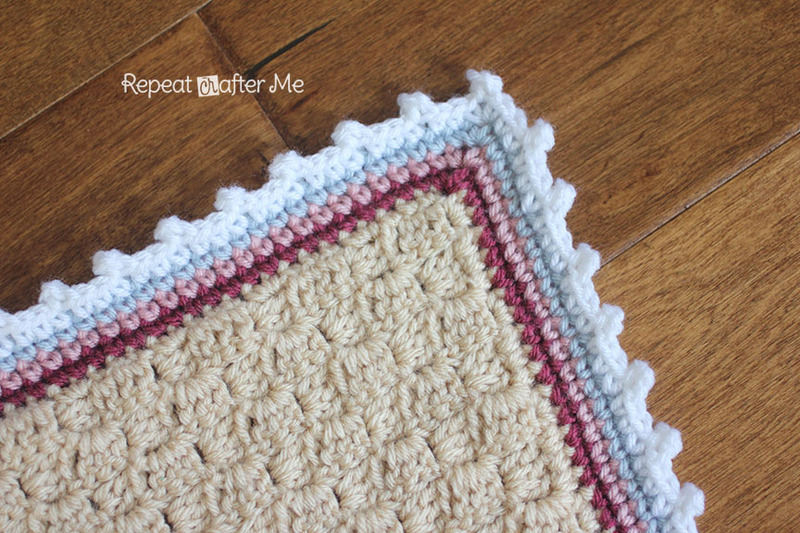 I made a simple border using 4 rows of single crochets (first beige, then antique rose, then pink, then blue) finishing with a picot edging in white. Each corner needs to have a SC 2 chains SC. The picot edging is 3 SC, *chain 3, slip stitch to first chain, SC in next 3 stitches, repeating from *. Try your best to land on a picot in each corner. If you need to add in an extra SC or skip a stitch, it really won't be that noticeable. Getting a clean corner is more important! I didn't plan this out but I love a happy accident! 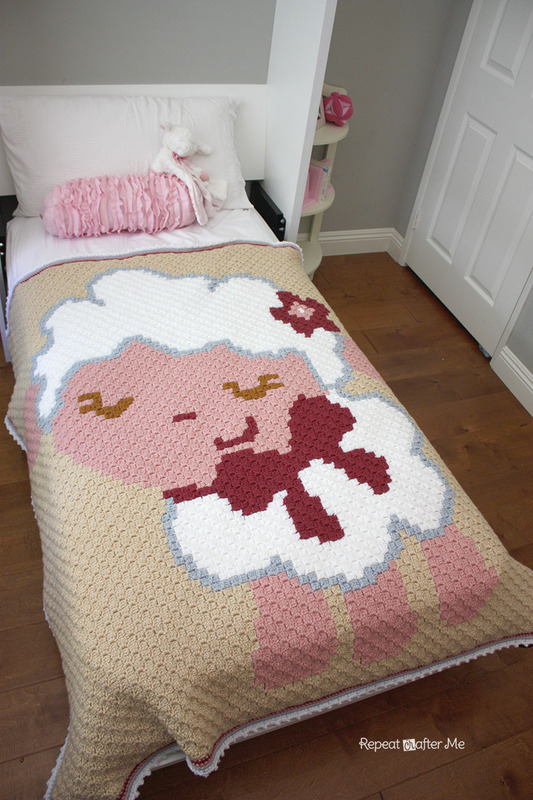 This C2C graphgan fits perfectly on a twin size bed!